Scrap This, Save That: Growing In Unity - Day 1 AGAIN! Oh my gosh, I can't believe it! Either I'm having a harsh case of deja vu, or I'm the Growing in Unity Girl again this week! Woohoo! A fellow blogger was unable to fulfill the position so this week so I begged volunteered to do it! I had so much fun creating with Unity Stamps a few months ago, that I just couldn't wait to do it again!! 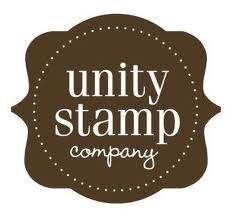 So, once again, here's the drill....I'll be posting projects made with Unity Stamps all week. Leave a comment on any or all of those posts to be entered to win not one, but TWO Itty Bitty Stamp Sets from Unity! The more (Unity) posts you comment on, the more entries you have! I'll draw and post the winner next Monday, June 23rd. Good luck! Today's card is stepping WAY out of the box for me. I'm usually all about bright colors, but this one is very white and pale...but you know what? I still love it. I really need to challenge myself to do more of what DOESN'T come naturally for me. I'm usually so happy with the results! I used a cut file from the Silhouette Store called Butterfly Pop-Up Card, and cut it out in white cardstock. 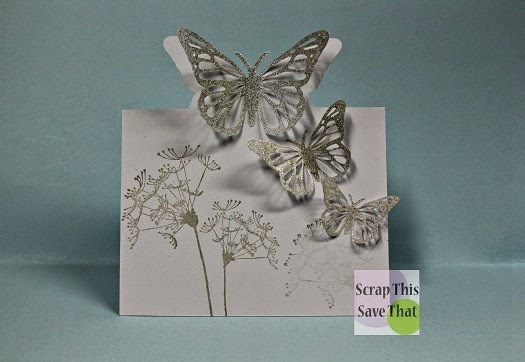 I applied a thin coat of Crafter's Companion Spray & Sparkle in Silver, to the butterflies. Then I stamped one of the gorgeous images from the Unity Insightful Meadows set on the front of my card in the palest Versa Magic Niagara Mist Ink. I have to tell you, this is one of my favorite stamp sets of all time! You can see other cards and projects I've made with it HERE, HERE, and HERE. I've used it for lots of other stuff too, but the ones I linked are my faves! Anyway, below I'll leave a list of products I used for this card. Don't forget to leave a comment to be entered to win some Unity love! Maybe in your comment, you can tell me what YOUR favorite Unity Stamp set is? No pressure though! Also, while you're here, I would love to invite you to become a follower or email subscriber, and to follow on Facebook, Pinterest, Twitter and YouTube. Find your thang and click to like it! The card is just GORGEOUS!! I love butterflies!! Simply stunning. Very elegant! I love stamp sets that are so versatile. First of all - congrats on your spot with Unity!! This is absolutely gorgeous, Amy!! I love the beautiful dimensional butterflies!! They look amazing!! It might be out of your comfort zone, but it is fabulous!! Awesome card! I love the dimensional butterflies and that pretty stamp you used too! Hmmm.... have to think about my favorite Unity set! So many to choose from! Fabulous card Amy! Isn't it wonderful to step out of the box once and awhile? Your card pops with sparkle and anyone would love to receive it. This is lovely, Amy. The monochromatic colors and butterfly dies are very elegant. Looking forward to your inspiration as GIU gal this week! Yay, it's great seeing your projects. Love what you did with the butterflies!!! This is such a striking card! I love the glitter and the dimensional butterflies! wow--love this butterfly pop up card. Love the butterflies on your beautiful card Amy. Wonderful card! I love the glittery butterflies and the color scheme. Great!!! Very pretty card! Love the popped up butterflies! Great monochromatic card! Wow, simply gorgeous. Everything here is so soft, yet really makes an impact. The 3D effect is great. 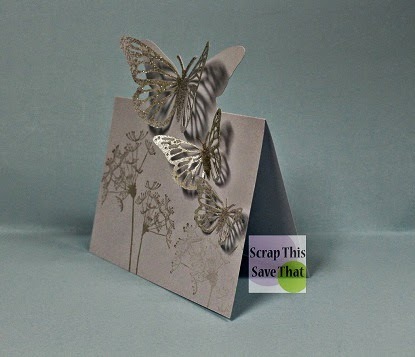 I also love that you cut out the card as a backing for the butterfly on top. The flowers, so soft and simple, look great. Very elegant card. Really love the monochromatic look. I think my fave Unity stamp is one I have that is called Love or something like that. It is a sweet one of a mother bird perched beside her nest of eggs.